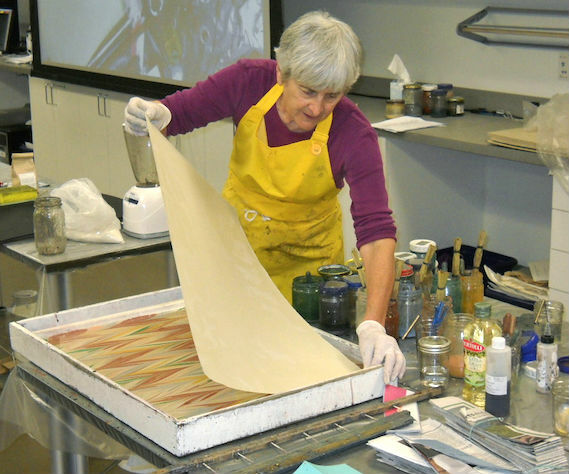 Pamela Smith is teaching a Beginning Paper Marbling workshop at MarbleSmith Studio in Abiquiu on Saturday, October 6, and Sunday, October 7, 2018. The two-day session covers the basics of this ancient paper-decorating technique while involving students in the process of hands-on production. The workshop fee of $190 includes all tools and materials. To inquire or register, please email Pam at shirinne@windstream.net or call 505-685-4486.